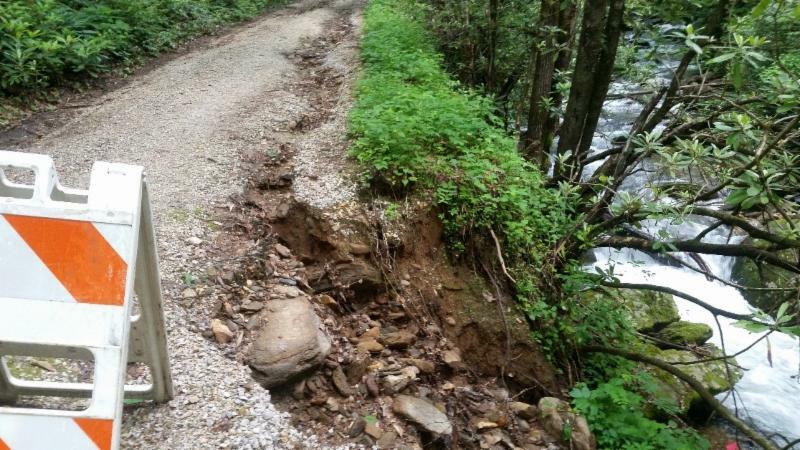 Asheville, NC – Windy conditions combined with weeks of prolonged heavy rainfall has increased hazards on the Nantahala and Pisgah National Forests. Barriers placed at closed roads are there for your safety. Don't move barriers – other drivers may not realize the danger. Don't drive around barriers in the mistaken belief that your vehicle can handle any situation. Never climb on or around waterfalls and never play in a stream above a waterfall. Rocks can be slippery and it's easy to lose your balance especially with bare feet. Currents near waterfalls can be extremely swift even in areas further upstream.